The idea for the jewelry collection OCEAN STORY® came to goldsmith Rebecca Anna while sailing on the open sea. 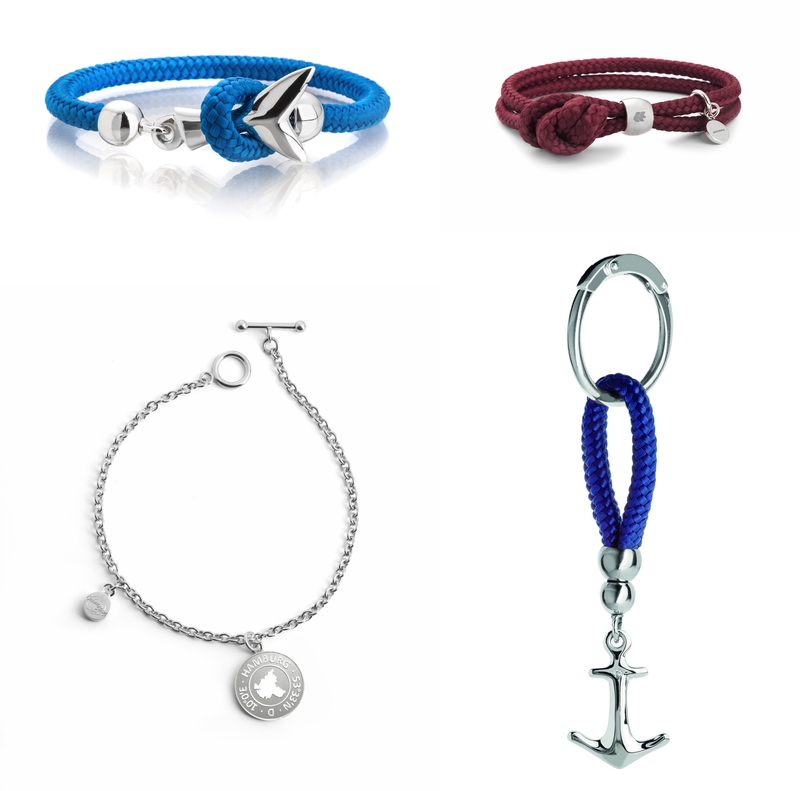 The result was a unique SAIL BRACELET collection, which combines bracelet and necklace. The simple, timeless and sporty yet elegant design of the maritime jewelry creates an ideal accessory for those who carry the ocean in their hearts. The OCEAN STORY jewelry consists of various collections. 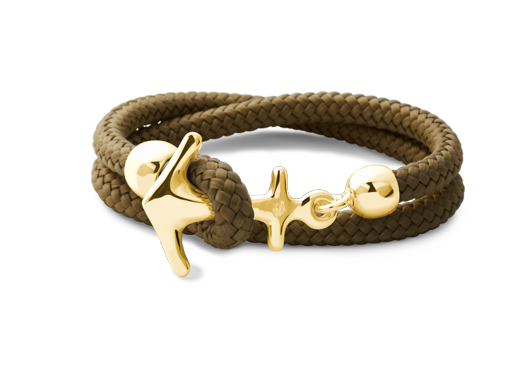 The traditional SAIL BRACELET collection comprises the unique bracelets made out of sailing rope combined with the gold, silver or rose gold plated anchor. Available in 14 different shades, the bracelet colors can be switched depending on season, mood or outfit. 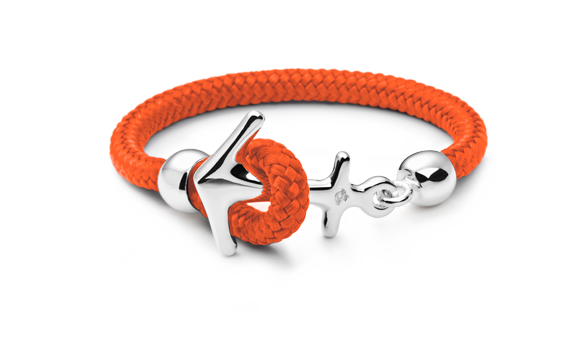 This collection can also be produced in the 18 karat version with 750 gold, rose gold or white gold. The jewelry collection also includes necklaces in different lengths, materials and colors as well as limited edition pieces featuring key chains, bronze or blackened silver jewelry or the CO°ORDINATES collection. The CO°ORDINATES collection for instance features necklaces and bracelets with gold or silver coins as pendants, also referred to as “treasures of the ocean” by the goldsmith. 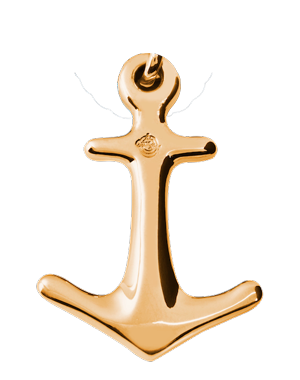 The pendants can either be coined with coordinates of Germany’s most well known port cities Hamburg and Sylt or with the individually selected coordinates of favorite places that carry a personal meaning or memory. 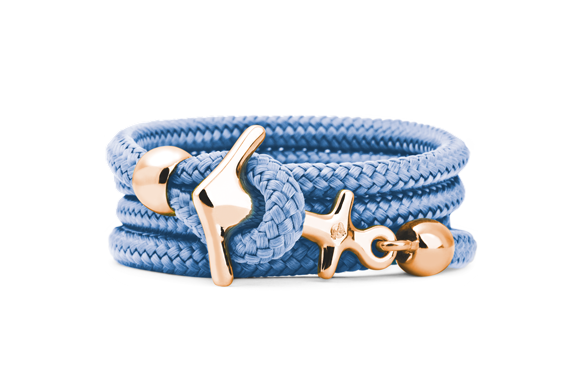 The SAIL BRACELETS are composed of durable, original sailing rope sealed with the characteristic trademark of OCEAN STORY: an anchor made of materials such as silver, gold or rose gold. The choice of materials and the reduced, minimalistic design appeal to both men and women, and are exclusively handmade in Germany. The materials are robust and waterproof making the jewelry suitable for everyday life.